NEMESIS is a resource for information on non-native (or exotic) species that occur in coastal marine waters of the United States. The Smithsonian Environmental Research Center (SERC) has developed and maintains a national database of marine and estuarine invasions of the continental U.S. and Alaska. This relational database compiles detailed information on approximately 500 different non-native species of plants, fish, invertebrates, protists and algae that have invaded our coastal waters. The database identifies which species have been reported, their current population status (i.e., whether established or not), as well as when, where, and how they invaded; it also summarizes key information on the biology, ecology, and known impacts of each invader. 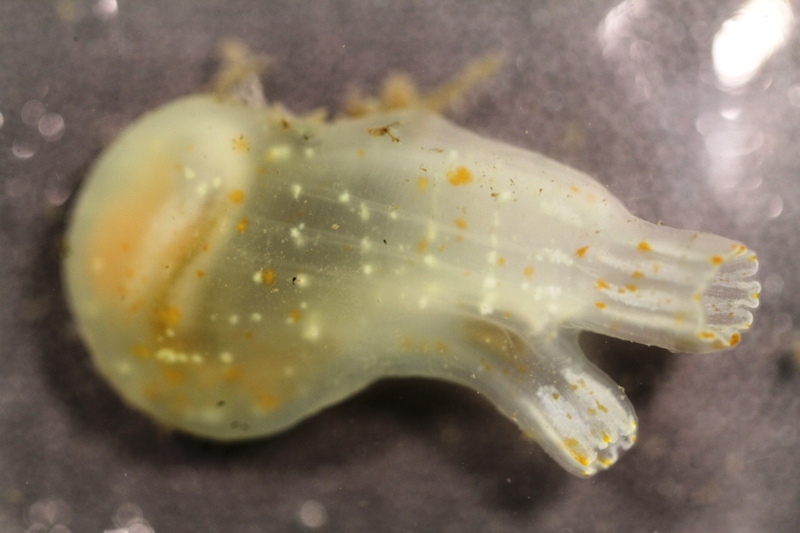 Ciona savignyi appears to be native to Japan and possibly offshore waters of Alaska and British Columbia. Introduced populations were first reported on the West Coast of North America in 1985 at Long Beach Harbor, southern California. Since then it has been reported in a number of southern, central and northern California locations, including San Diego Bay, Santa Barbara Harbor, Monterrey, Moss Landing, San Francisco Bay, Tamales Bay, Bodega Harbor, and Humboldt Bay. In 1998 it was found in Puget Sound near Seattle, Washington, and there are reports of extensive populations in several areas of Puget Sound and the northern reaches of the San Juan Islands. It is abundant in harbors and marinas and was likely spread through hull fouling on commercial and recreational boats. Despite its abundance in the fouling community, very little is known about its impacts, but it might compete with C. intestinalis, however, die-offs of both species due to environmental changes make this difficult to assess.